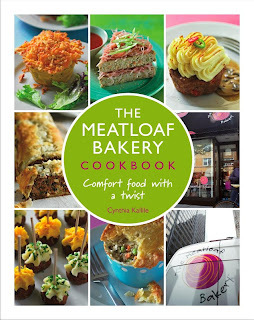 One of my favorite little eateries in the city is the Meatloaf Bakery in Lincoln Park. Most customers carry-out, but there are a couple little tables if you want to stay and enjoy your meatloaf cupcakes, which they will gladly warm up for you. I stumbled across the place a couple years ago when doing a Foods article for the Times of Northwest Indiana on meatloaf recipes. I got my whole family hooked by introducing my sister to the place and popping in there when we are in the area for a Cubs game. Once my sister, dad, a friend visiting from Japan and I stopped down the street for sushi. Sushi is not my dad's thing, so knowing he loves meatloaf, we took him over to meatloaf bakery to try some loafies in place of sushi. He was immediately smitten. Owner Cynthia Kallile has created wonderful recipes for that ultimate comfort food in the most interesting and beautiful of presentations. Her cupcakes and miniature-sized "loafies" are covered in mashed potatoes, stuffing, pasta or other side dishes, which presents a colorful and lovely sight while combining unquestionably delicious flavors. I'm very excited that she'll be sharing many of her signature menu items along with many new concoctions. 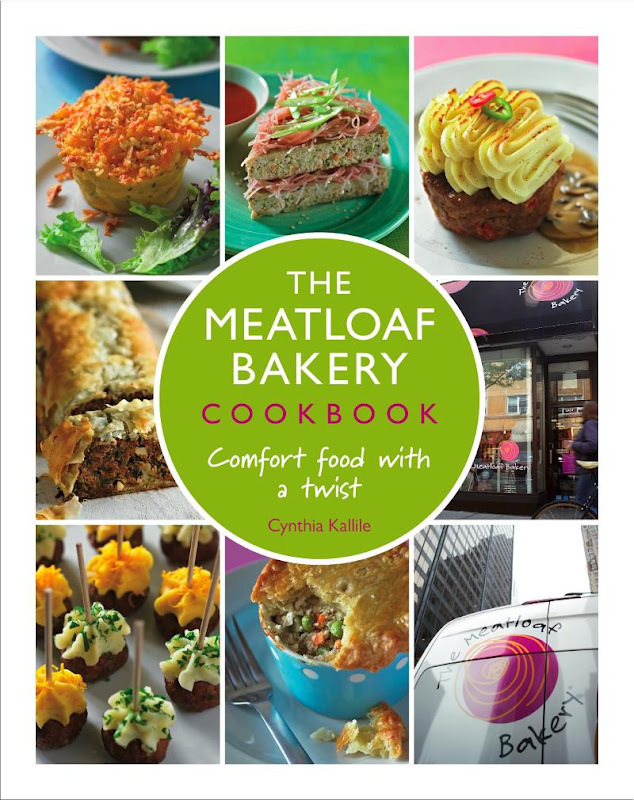 And you'll find that meatloaf article here, which includes one of Cynthia's meatloaf recipes. The book is available from Amazon for pre-order.